Erollment in the Agoge - An Excerpt from "A Boy of the Agoge"
At the start of the month I discussed the the unique features of the agoge. One of them was that enrollment was universal and compulsory. 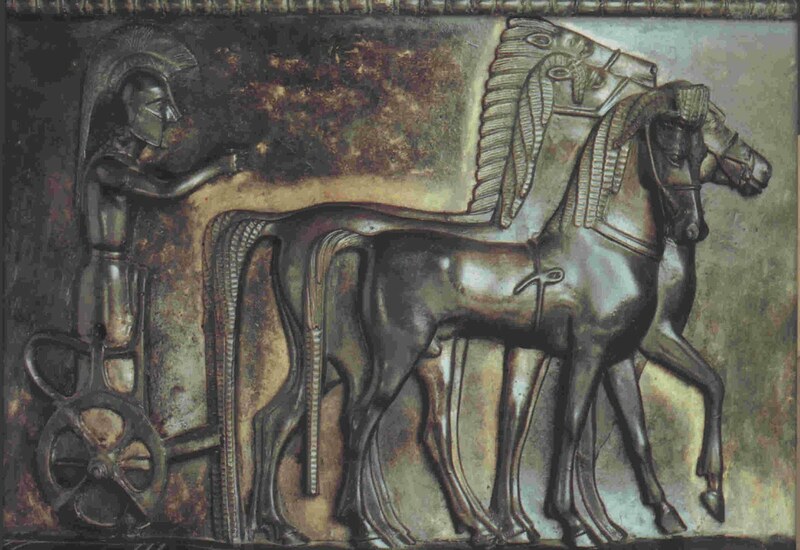 In fact, there was one exception: the heirs apparent to each of the Spartan thrones were exempt. Yet younger princes were not. This explains why Leonidas I, the hero of Thermopylae, was one of the few Spartan kings to have ever gone through the agoge. In the attached excerpt I depict Leonidas' enrollment by his father, the aging King Anaxandridas. At the age of seven, Cleombrotus and Leonidas were enrolled in the agoge. Dido had warned him this would happen, and she had always looked sad when she told him, but she hadn't been able to tell him very much about it. She was a helot, after all, and no one in her family had ever been allowed to go to the agoge. 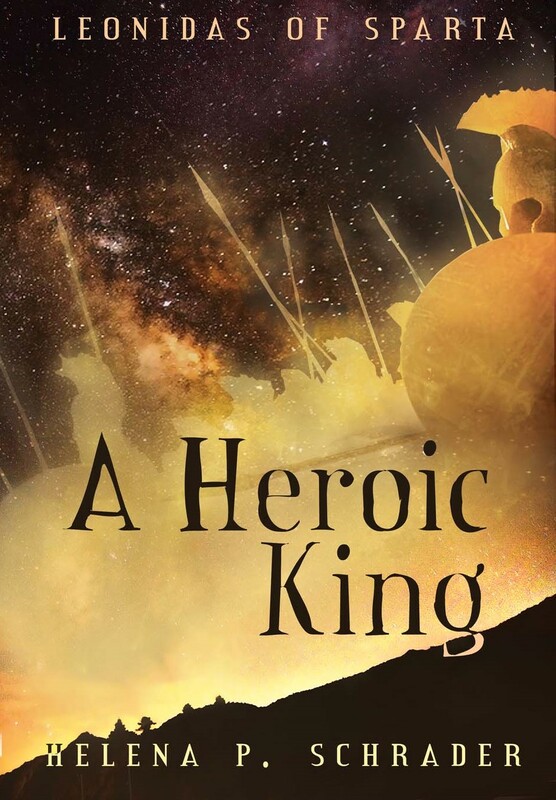 Nor could Leonidas' father tell him much -- if he had dared ask him -- because the heir apparent to the throne was exempt from attending the agoge and so King Anaxandridas had never gone. 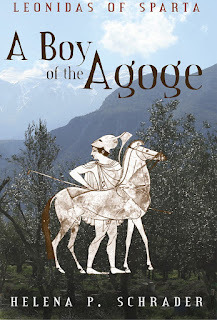 As for Dorieus, he didn't waste time talking to his youngest brothers, so neither of the twins had any idea what to expect except that it meant leaving home and living in the agoge barracks with other boys their age. One day just after the winter solstice, their father came for them dressed in his armor and scarlet cloak. He was already a great age by then, much more than three score. He had white hair that he wore braided in the Spartan fashion, but it was so thin that his plaits were tiny little strings, and his scalp was almost completely bare. The skin of his scalp was flecked with brown. He could no longer stand upright; the weight of his breast plate appeared to be too great for his shoulders and dragged him forward. He kept himself partially upright by using a T-shaped walking stick that he propped under his right armpit. Without a word he signaled his twin sons, who had been told to be ready for him, and with one on either side of him he walked out of the palace. At once they were caught in the cold wind that blew down off the Taygetos. 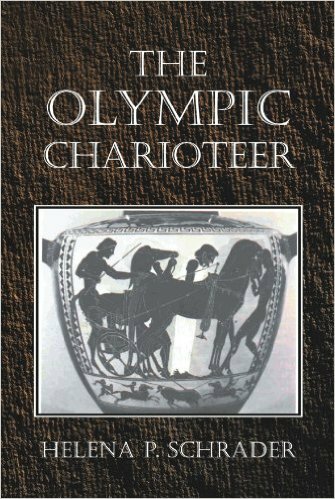 Leonidas clutched his himation tighter around him, but his father shook his head. "Better get used to the cold, boy. You'll not be allowed to keep such a thick himation in the agoge." 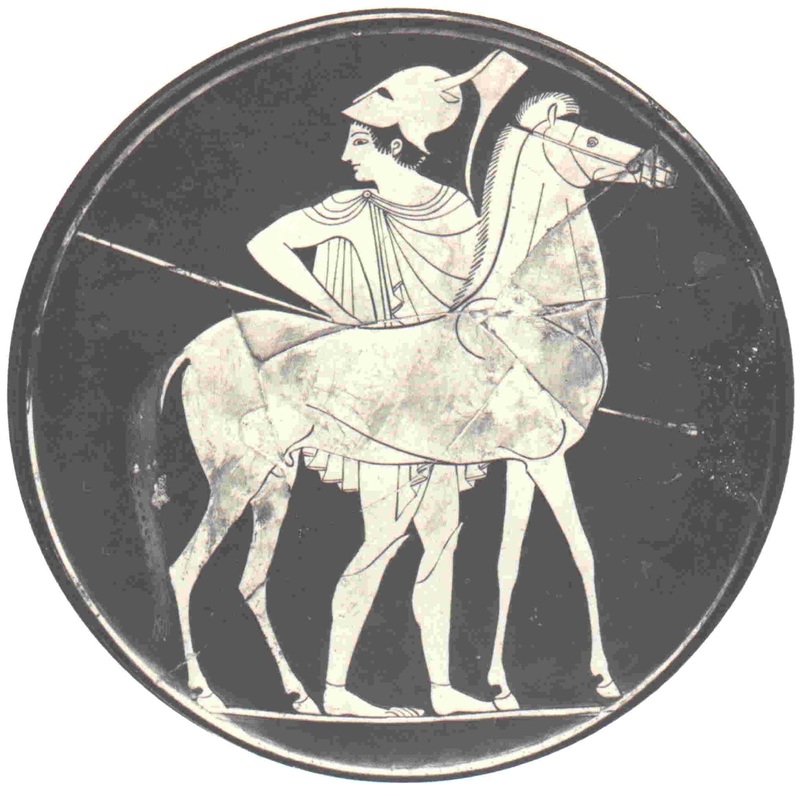 Leonidas gazed up at the old man, who he knew was his father but who was still a stranger to him, and started to become alarmed. The king led his sons to an imposing building standing directly on the Agora, opposite the dancing floor and at right angles to the Council House and the Ephorate. Although given the same prominence as these buildings, it lacked the lovely colonnade and elegant portico of the government buildings. 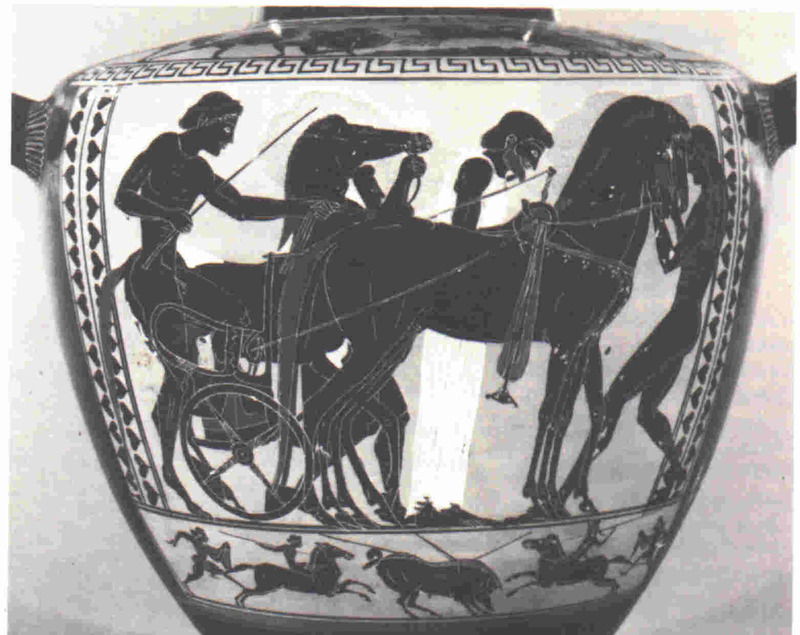 Instead, the entrance was supported by three ancient Kouroi. All had once been painted but were now naked stone, except for some remnants of color in the curls of their hair. Boys of various ages with shaved heads and rough, black himations came and went in groups. 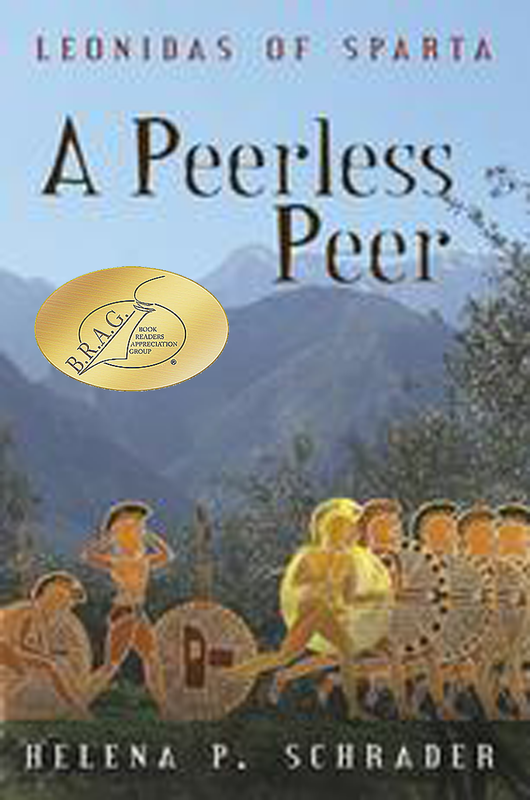 Leonidas noticed that despite the snow lying in the shadows, the boys were all barefoot. This is going to be terrible, he registered. They entered an office. An elderly man in Spartan scarlet sat behind a desk. Several middle-aged men stood about discussing things earnestly. At the sight of King Anaxandridas, the others fell silent, and the elderly man behind the desk got to his feet respectfully. "Here they are," the king announced simply. "My youngest boys." 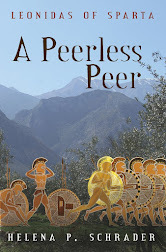 All eyes were drawn to the two boys, whom Anaxandridas now pushed forward. "You'd never know they were twins!" one of the men exclaimed. Hardly a brilliant observation, Leonidas thought. Brotus was dark-haired and dark-eyed, with a stubborn set to his aw and a compact body that -- as one of the men immediately observed -- made him look a year older than his twin. Leonidas was not blond, just brown, but he was much lighter in color than his brother and his eyes were hazel. He was also ten pounds lighter and two inches shorter than Cleombrotus. "Who's this fine fellow here?" They all focused on Brotus. "Then this is Leonidas." The oldest of the men walked around his desk and stepped closer to look intently at Leonidas. 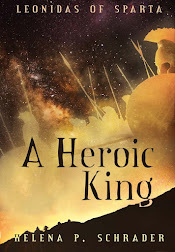 Leonidas wanted to step back, but he felt his father's hand on his shoulder. In a vice-like grip it held him in place. Leonidas stared rather terrified up into the headmaster's face, but Leonidas decided that whatever the man thought of him (and he did not say), he did not seem hostile. The king took his leave. It was the last time Leonidas ever saw him up close. A little more than a year later he was dead. The two boys were left in the cold room, surrounded by strangers. "I think we best separate them, sir, at least at first," one of the younger men suggested. "Twins have a tendency to be dependent on one another." The Paidonomos, or headmaster, nodded. He looked from one boy to the other, evidently considering something, and then nodded. "Put Cleombrotus in Herripidas' and Leonidas in Gitiades' unit." Leonidas was taken out of the administrative building and down the street to an even less assuming building. Here he was taken along a long corridor to a simple room furnished with what looked like shelves running around the perimeter at knee and shoulder height -- except there were ladders leading up to the upper shelves. There were wicker bins and baskets under the lower shelves. Already there were a half dozen other boys his own age in the room. All looked as bewildered and uncertain as he felt. There was also a young man there. He was tall and well formed, but not a citizen yet because he wore a black rather than a scarlet cloak. Also, his face and head were shaven. Leonidas knew enough about the agoge to know this young man must be one of the so-called eirenes. The eirenes were 20-year-olds who had just graduated from the agoge themselves. They were required to spend one year as a unit leader of younger boys before being enrolled in the ranks of the citizens and army at age 21. The man escorting Leonidas addressed this eirene; "Gitiades, here's another one for you: Leonidas, son of Anaxandridas." That made the other boys look over and stare. The older man was gone, and Gitiades addressed Leonidas. "You're nothing special here. Remember that. Just one of the herd." Thanks to films like "300," the Spartan Agoge is commonly viewed today as a brutal -- not to say savage -- training regime in which boys and youths were taught nothing but survival skills by sadistic instructors. In earlier entries, I pointed out that this image is an illusion created in part by the artificial agoge of the Roman era and in part by poor historiography on the part of scholars copying from each other carelessly. Yet even after removing the grotesque mask created by later generations, the Spartan educational system was characterized by unique elements which attracted the praise of many ancient observers -- including Plato. A summary follows. The one feature of the Spartan agoge most admired by Athenian political philosophers was the fact that it was compulsory and universal, i.e. all future citizens of the city-state had to have completed their education before they could be admitted to the ranks of the citizens. The Athenians thinkers recognized that poorly educated citizens undermined the very basis of democracy. Yet in no other city -- not even in the city that prided itself most on its democracy, Athens -- were citizens required to obtain an education at all, much less meet specific standards. Sparta was alone in making education a criteria of citizenship. In Sparta in contrast, the state ran the educational system, which was supervised by officials of the Spartan state. The curriculum and standards were set by the state. There were age-cohorts and public rituals in which the pupils had to participate in front of the entire city. Furthermore, responsibility for the education of youth was collective. By this I mean that any citizen had the right, and was expected to, take an active part in education the all children -- not just their own. In addition, the Spartan educational system contained exceptionally draconian discipline combined with democratic elements. 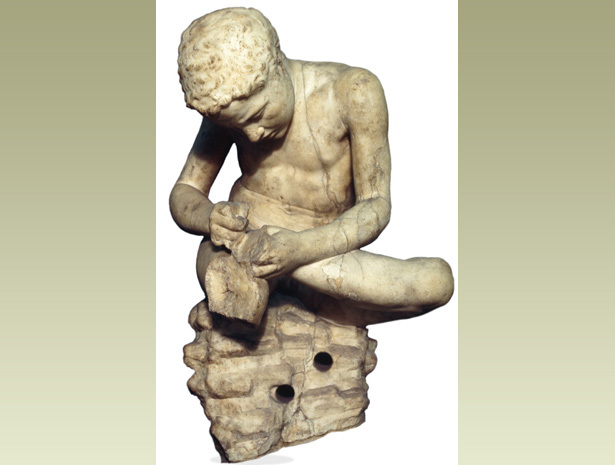 Particularly shocking to the ancient world was the employment of flogging as a means of discipline. In the rest of the Greek world, flogging was a punishment for slaves. The idea that the sons of citizens, even the (younger) sons of kings could be flogged for transgressions was viewed with voyeuristic horror that eventually mutated into the grotesque whipping contests of the Roman period. Yet in their shock over this tool, many commentators lose sight of the fact that Spartan youth elected some of their leaders, and the agoge itself enabled the sons of non-citizens to obtain citizenship - strikingly democratic features. Last, yet arguably the most radical aspect, the Spartan agoge was that it was co-educational. To the horror and disgust of other Greeks -- much less barbarians, the daughters of Spartan citizens also attended the agoge, albeit for a shorter period of time. This meant they too shared in the common experience of living in barracks, eating institutional food at the common messes, wearing identical clothes, competing in sports, and participating in festivals. 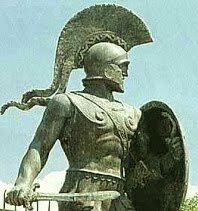 Over the next four months, I will be looking at the above unique features of the Spartan agoge, examining what we know about them and speculating on its purpose -- i.e. why Sparta might have chosen to include these particular elements into their public educational system. 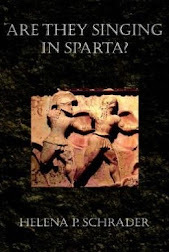 Next month I will look more closely at the "Compulsory and universal" aspects of the Spartan upbringing.